Burdekin farmers Gary and Angela Spotswood, of Mt Alma Fresh Organics, at Inkerman, has claimed the coveted Reef Conservation Award at the 2017 Reef Alliance Awards, held in Townsville on 22 November. The Reef Alliance awards recognise the work of farmers who are leading the way in implementing on-farm practices and extension to reduce and manage agricultural impacts on the Great Barrier Reef. They are an initiative of the Reef Alliance partnership which includes the Queensland Farmers’ Federation, peak agricultural industry bodies, regional natural resource management groups and the conservation sector. 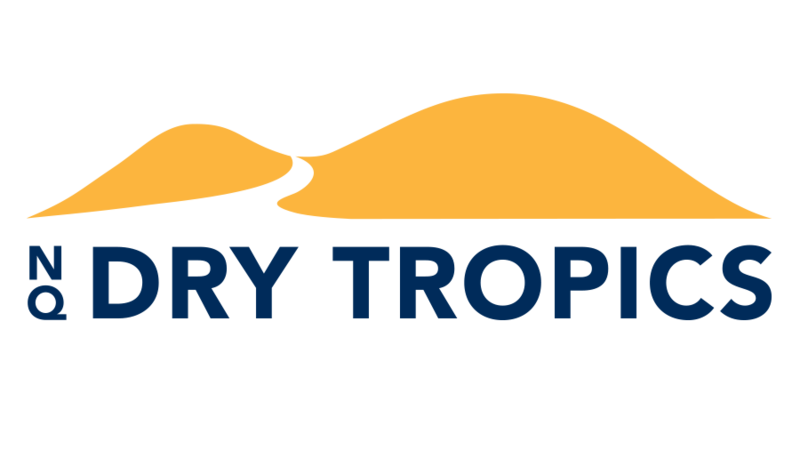 NQ Dry Tropics nominated Gary and Angela for the award, having supported them to restore the ecological function of a coastal wetland ecosystem located on their property to achieve water quality outcomes. Mt Alma’s 100 ha lagoon was restored through NQ Dry Tropics’ Systems Repair project, funded by the Australian Government Reef Programme’s Biodiversity Fund. NQ Dry Tropics CEO Dr Scott Crawford attended the awards ceremony with Mr and Mrs Spotswood and congratulated them on their achievement. “This is a well deserved award that recognises the hard work that Gary and Angela have put into creating profitable and diverse enterprise while also achieving very real outcomes for the Great Barrier Reef,” Dr Crawford said. “The Spotswood’s stand out for their commitment to innovation, commitment to good land stewardship, giving back to their community, and being a great example for future generations. “Both Gary and Angela are passionate advocates about the importance of healthy soils and this is reflected in the outcomes that they have achieved and have been recognised for. “I congratulate all award recipients, they were all deserving winners, leading the way in implementing on-farm practice change for long term profitable and sustainable outcomes,” he said. “The 2017 winners have done their communities, regions and industries proud. The Reef Alliance was inundated with nominations, and these farmers and extension officers are truly at the top of their field,” Ms Grainger said. “The Australian Government Reef Programs such as Reef Trusts are successful because they focus on improving both farming and the environment. There have been many worthwhile projects undertaken, and these awards allow us to showcase some of the great achievements,” she said. NQ Dry Tropics Program Manager, Waterways, Wetlands and Coasts, Laura Dunstan also congratulated the Spotswood’s. “The Waterways, Wetlands and Coasts team is proud to have worked with Gary and Angela to help them achieve water quality outcomes through restoring the health and function of Mt Alma’s lagoon. “They worked with stakeholders, including Lower Burdekin Water, to reduce levels of supplementary irrigation water entering the lagoon from the distribution network and upstream farms,” Ms Dunstan said. “Practice changes included more crop rotations, minimal cultivation, revised irrigation scheduling according to crop stage, and smaller cup sizes in irrigation infrastructure to minimise the volume of runoff. “They also co-invested in a recycle pump which redirects the excess water back onto the farm. The lagoon now seasonally dries down as it used to, which controls the plant chokes without the need for chemicals or machinery. “Waterbirds, fish and other flora and fauna have returned and the lagoon is now able to filter and contain runoff during rainfall events – improving water quality for the downstream areas including the Great Barrier Reef,” she said. Main photo: Angela & Gary Spotswood receiving their award at the 2017 Reef Alliance Awards held in Townsville.